Justice Athar Minallah read the judgment and suspended the sentences handed to the three by Accountability Court judge Mohammad Bashir on July 6. ISLAMABAD: A Pakistani top court has observed that the sentences of former prime minister Nawaz Sharif, his daughter and son-in-law in a corruption case "may not be ultimately sustainable" as it issued a detailed judgement on Wednesday, two weeks after freeing the trio on bail. On September 19, a two-judge bench of the Islamabad High Court (IHC) gave the judgment on petitions filed by Sharif, Maryam and Capt (retd) Safdar challenging the Avenfield verdict against them. Sharif, Maryam and Safdar were sentenced to 11 years, eight years and one year, respectively, in prison in the Avenfield properties case related to the purchase of four luxury flats in London through corrupt practices. The 41-page judgment on the IHC's September 19 order has been written by Justice Minallah, Geo News reported. "In hindsight, the sentences awarded to the suspects may not be ultimately sustainable," it quoted the judgment as saying. 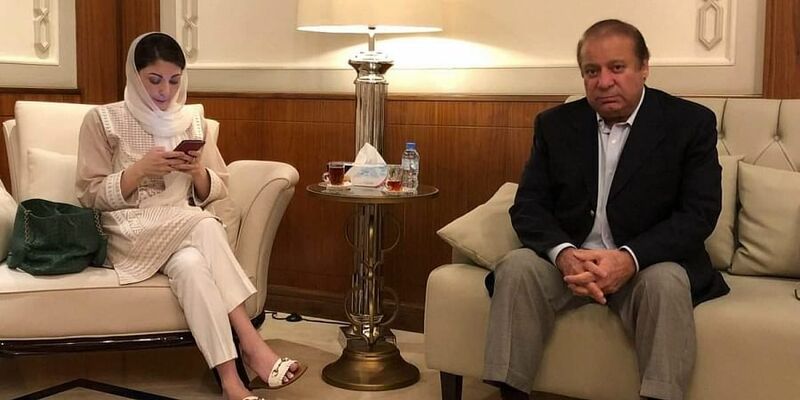 "The accountability court which awarded the sentences did not state how or refer to evidence regarding how Maryam assisted Nawaz (Sharif) in the purchase of the Avenfield apartments," it added. Further, the judgement stated, "The National Accountability Bureau (NAB) mostly relied on Panama Papers case to argue their points against suspension in sentences.
" The prosecution did not challenge the acquittal, the judgment read. It said the court findings are not final and the judges said their opinions or observations will not influence the appeals, the bench further said in its judgment. "We accept the petitioners' pleas seeking a suspension in their sentences," Justice Minallah said. Ordering their release, the two-judge bench directed the former premier, his daughter and son-in-law to submit bail bonds worth Rs 500,000 each. Sharif, 68, Maryam, 44, and Safdar, 54, were also disqualified to contest elections or to hold public office for a period of 10 years after release. Both Maryam and Safdar are politicians. The sentences will on the trio remain suspended till the final adjudication of the appeals filed by them. Sharif and Maryam were arrested on July 13 upon arrival in Lahore from London. On July 16, the Sharifs had filed appeals for the Avenfield verdict to be overturned. Meanwhile, the Supreme Court on Monday rejected a petition filed by the NAB challenging the IHC's decision to hear Sharifs' petitions against the Avenfield verdict. On September 15, the anti-graft body had moved the Supreme Court in an effort to keep the IHC from ruling on an application from the Sharif family seeking the suspension of the Avenfield verdict. However, imposing a Rs 20,000 fine on the anit-graft bureau, Chief Justice Saqib Nisar noted that justice should be served to petitioners.